The social magazine app Flipboard fulfills one of the many promises of the iPad, presenting social data and “news” in an incredibly robust and interactive way. It pulls down a real-time stream of social data and delivers that data in a bright, personalized, touch-screen interface. The app takes the short messages and links shared by friends, pages, or followers from sites like Facebook and Twitter, and then assembles them as multi-media excerpts on flippable pages while also wrapping them in a variety of social features. 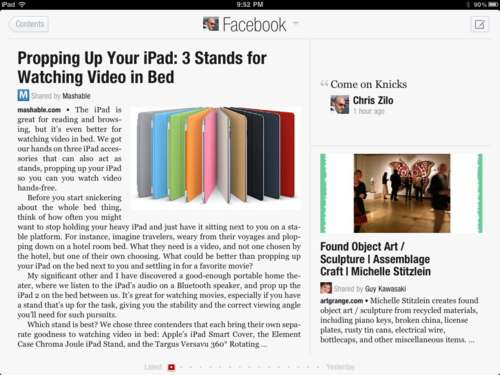 Flipboard at its core turns social “noise” into coherent channels. It’ll take those little tweets shortened links and all and turn that feed into a more readable, coherent, organized nugget of information, that makes you feel like you’re thumbing through the newspaper. It sounds simple, but what this app accomplishes is pretty profound. Now anyone who is gathering up Twitter feeds and the like, is, in effect, curating a magazine. 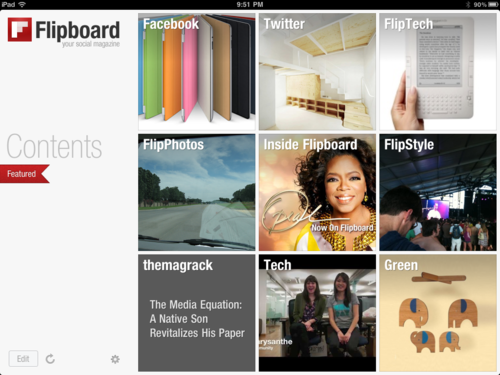 Flipboard has created a completely customized form of journalism, subscription, and consumption. 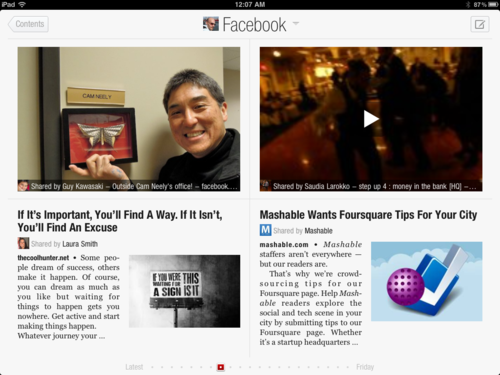 Flipboard’s user experience is INCREDIBLE. Its design is slick, and it makes you feel like you really are reading a magazine from right off the rack. Transforming short excerpts, into summaries, and adding pre-loaded web pages for deeper drill downs takes your social news experience to another level – in one word – it’s “awesome”. You can also post your comments and replies inline, you can even watch videos that have been linked to all within the app. When first opening up the app there are preselected channels you can populate your account with and from there you can customize using curated feeds like twitter lists. RSS never really caught on as a widely adopted reading medium, most likely a few million people at most are using each of the most popular readers that are on the market. Facebook became a way for millions more to be introduced to the news “feed” model. Flipboard takes that feed model and transforms it into one that is much more approachable, taking both social and traditional feeds and weaving them into an incredibly simple, beautiful, experience that makes one believe that apps such as this will forever change what it means to read a magazine. 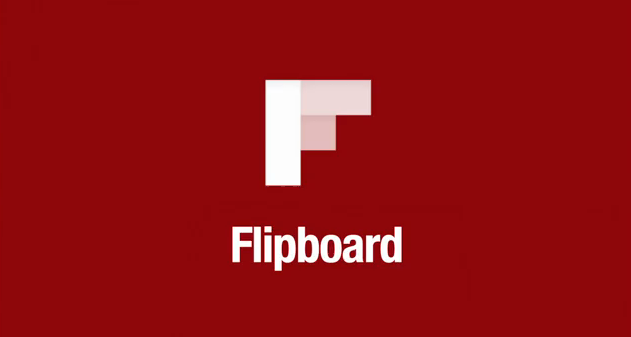 I’ve been using the app for well over 6 months now…If you have an iPad, or if you know someone who has an iPad, download Flipboard as soon as you can.